Description Scanned as B & W; cardboard mounted; faded, spots. 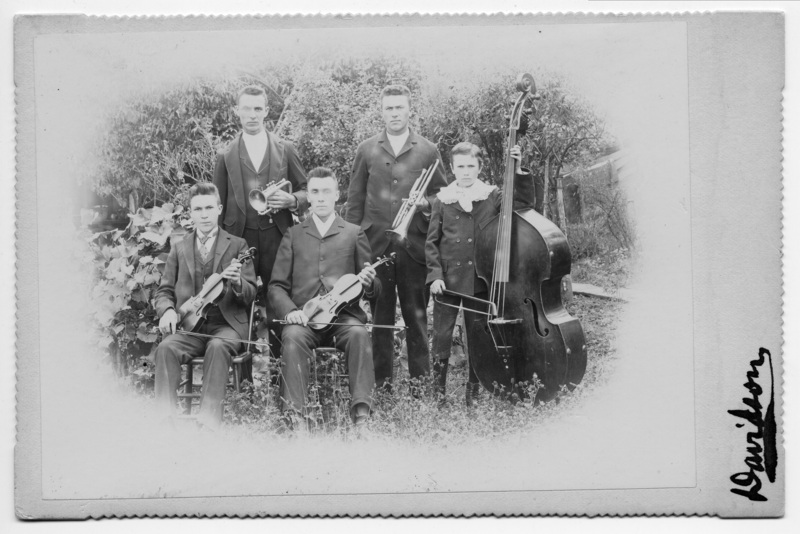 Same as 75a & b. Bickner brothers: seated, l to rt: John & Henry; standing: William, Joseph, & Charley. Written on front: Davidson.